Lingaya’s University now known as Lingaya’s Vidyapeeth is a private institute of higher education located in Faridabad, Haryana. It was established in 1998, with the name Lingaya’s Institute of Management and Technology. In 2009 it earned the status of “Deemed to be a University” from the UGC. 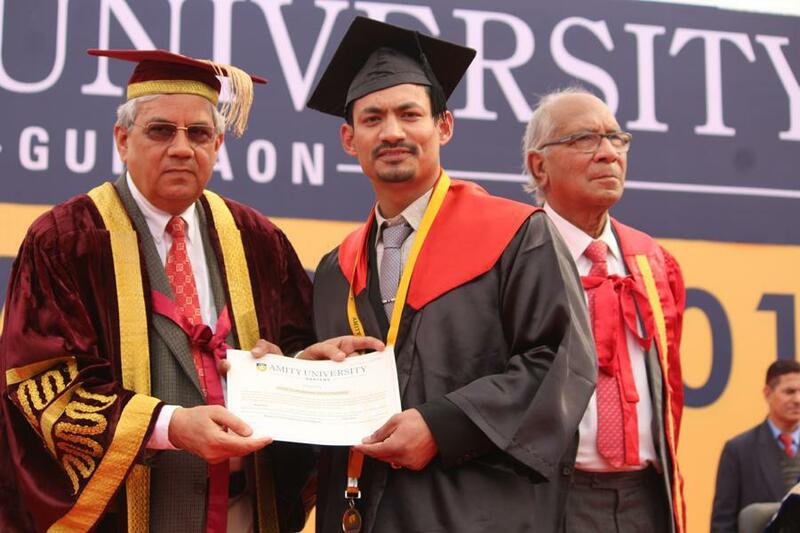 The university holds the motto “Par Excellence with Human Touch”. The University is affiliated to UGC, CSI, IEEE, SAE and AIESEC. Currently there are a total of 3,623 students enrolled in PG, UG and Doctorate courses. The LU has a vast residential campus and various schools of education including School of -Engineering, Management Studies, Education, Pharmacy, Basic Science & Humanities, Architecture, Law and Open & Distance Learning. Apart from the departmental libraries, the campus has a well equipped central library with a number of books and journals. Separate Hostels for Boys and Girls, Cafeteria, Shopping Centers, Banking and ATM Facilities, Auditorium ,Seminar Halls, National Service Scheme (NSS) and 24X7 Medical Facility. The LU is fully Wi-Fi enabled campus. Apart from these facilities the LU also has a diverse scope in extracurricular and sports activities with sports events being conducted day to day. Music, dance and skids are performed by the university students flaunting the culture in every possible ways. The University offers a number of UG/PG courses and research level. Candidates seeking admission in this University are selected on the basis of the Entrance exam conducted on national level. For some courses, admission is given on merit basis achieved in the qualifying exam. Admissions to B.Tech are done through the result of JEE Mains and B.Arch on the basis of NATA. For PG courses the selection is done on the basis of the marks obtained in Graduation Degree. For MBA score of CAT/MAT is considered. For PhD courses UGC/CSIR (KRF)/NET/SLET/GATE/M.Phil qualified candidates are preferred. The application form can be filled through two modes either online or offline. For online application candidates need to visit the official website. The fee for online application is paid through net-banking/ debit/credit card. For offline application forms are collected from the campus and payment is done through Demand Draft. The candidates who are eligible are called for counseling process and then admission is given. a. The Lingaya’s University provides hostel facility for the students. b. Some of the other facilities provided in the campus are laundry service, gym, hot water for bathrooms, generators, transport facility, swimming pool, ambulance service, swimming pool, library, medical room, mess, guest rooms for parents, security guards. a. The hostel facility is available for both girls and boys students. b. The rooms in the hostel are properly furnished. Some rooms have AC also students can choose their room according to their need. All the rooms have 24*7 wifi connectivity and CCTV surveillance. c. Hostel accommodation is available for everyone as it is based on first come first serve basis. The University celebrates the annual cultural fest “ZEST” every year. 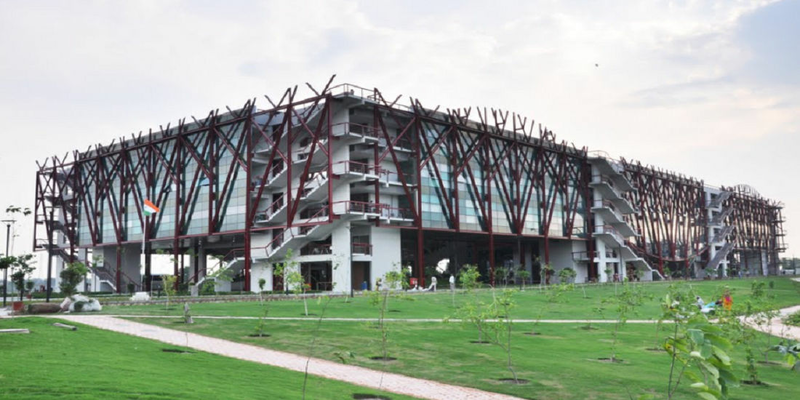 Lingayas University , Faridabad offers following courses in Electronics Engineering,Computer Engineering,Education,Civil Engineering,Mechanical Engineering,Architecture,English,Business Management,Physics,Chemistry,Mathematics,Computer Application,Business Administration,Arts,Commerce,Science.